This item will make a great keepsake. 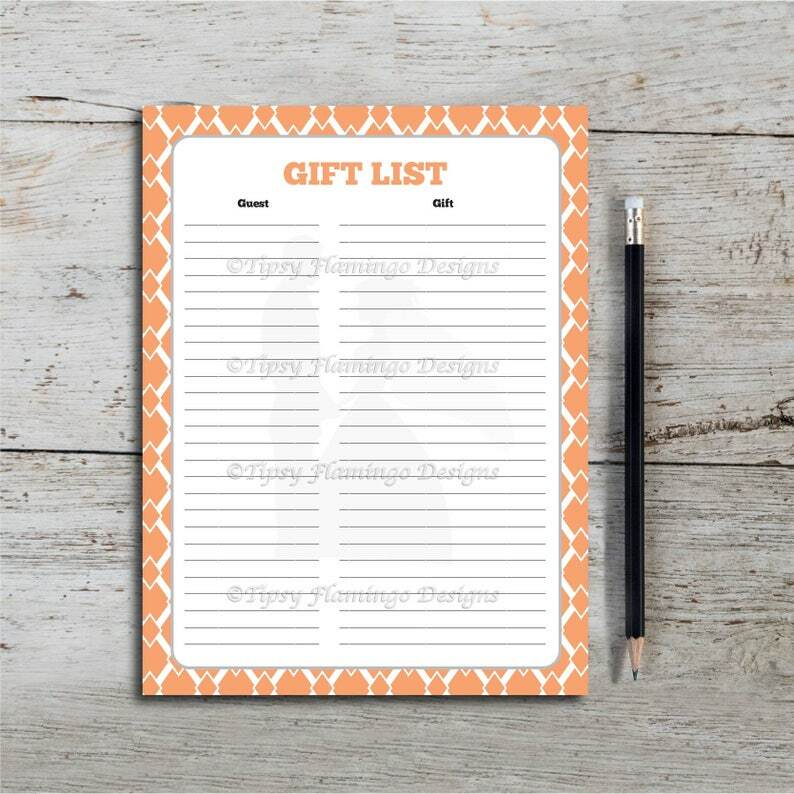 Instead of piece of scrap paper, use this gift list to record the gifts received and create a lasting keepsake in the process. The high resolution "INSTANT DOWNLOAD" Bridal Shower - Gift List will be available within minutes of your purchase. This game is in a PDF format for you to print. A download link will automatically be sent to your email by Etsy. If you have any problems receiving your product, please let us know. -There is one 8" x 10.5" gift list per page on a 8.5" x 11" page.